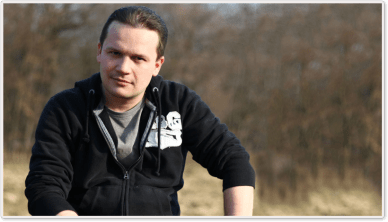 The history of the Transylvanian Saxons dates back to the end of the 12th century, when the first Saxon colonists were brought here as a part of the plan to resettle the South-Eastern part of the country. 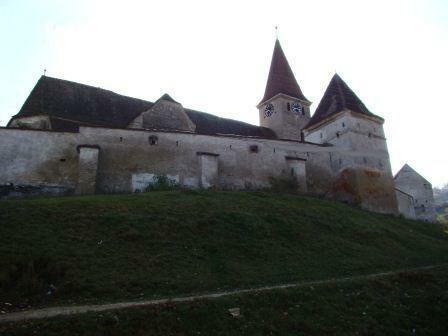 In order to defend their cities from Ottoman and Tatar invasions, they built a series of fortified churches considered unique in Europe, surrounded by one or two high walls, where local families and communities could hide in case of danger. Furthermore, they contributed greatly to the shaping of the image and cultural aspect of the region, which is also expressed by the fact that the German name of Transylvania – Siebenbürgen – refers to the seven largest Saxon towns situated in this area. Unfortunately, in the last century the communist regime lead to the emigration of the majority of indigenous Saxons, which resulted in the dereliction of their old dwellings. However, of the more than 150 remaining fortifications, there are still many which are in a well-preserved condition, thanks to the hard work of the locals, who have joined forces to reconstruct the architectural diversity of the remaining buildings and to restore the idyllic medieval atmosphere and tranquility of the region. 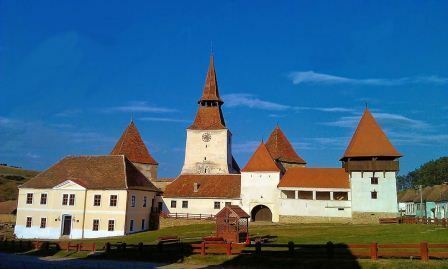 Seven of the villages with fortified churches (Biertan, Saschiz, Calnic, Viscri, Prejmer, Valea Viilor and Darjiu) are honoured as UNESCO World Heritage Sites, so if you visit Transylvania make sure you don’t miss any of them! Once there, you will realise that these small villages managed to do something truly admirable: stop the time. The daily habits of locals didn’t change much in the last decades, and the rural life is imbued with a sense of timelessness. No wonder why even Prince Charles fell in love with this place! 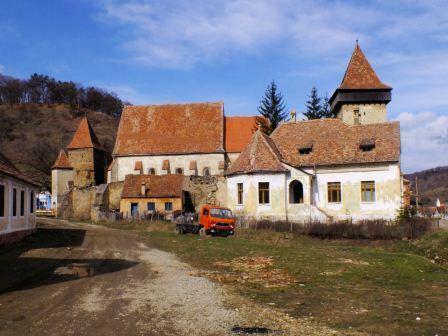 Regarding the accessibility of these villages, there is no need for a long detour: you can visit them on your way to Brasov from Sighisoara or inverse. But now there is another great way to reach these places: a 100 km long off-road bicycle trail which links ten of the villages, having Sighisoara as the point of departure and of arrival, which makes access easy for tourists and visitors. Vivid, colorful houses, emerald green hillsides, medieval castles and fortified churches form the fairy-tale-like panorama of this pre-industrial landscape rife with history, ensuring you get infatuated with its many charms. The Saxon villages of Transylvania provide the perfect destination for an unforgettable getaway, far from the noise of the world, proving that even in the era of modernization there is a constant need to revisit and celebrate the past from time to time. The fortified church of Apold village (Trappold in German or Apold in Hungarian), Mures county dates back to the 13th century. The small hall-church was built in the Late Gothic style. Its western side tower was annexed to the building later on and the church was fortified during the 16th century. The inner belt, destroyed in the 19th century, was dominated by a massive oat tower, used for storing grains. The altar and the organ were constructed in the 19th century by Johan Theiss from Sighisoara. 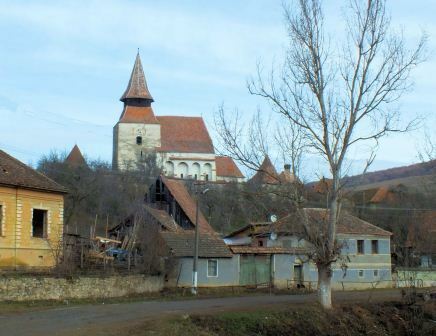 The village of Apold lies 15 km south of Sighisoara, in Mures county. The fortified church in the village of Archita (Arkeden in German or Erked in Hungarian) was built in the late 12th century. The Romanic basilica had three naves and no towers and was transformed into a small-hall church in the 15th century. The church was severely damaged during the fire from 1748, which nearly erased the whole village. In the 19th century, it went through modern ‘upgrading’: it received a replica of the Burzenland towers. 7 of its originally 9 towers are still intact today. Archita lies 31 km south-east of Sighisoara, in Mures county. The UNESCO World Heritage site in the village of Biertan (Birthalm in German or Berethalom in Hungarian), is one of the biggest and most famous fortified churches in Transylvania. Built in the Late Gothic style in the 16th century, it replaced an older church. The fortifications are older than the church itself, which started in the 14th century. Newer precincts were added during the subsequent centuries, well into the 17th century. 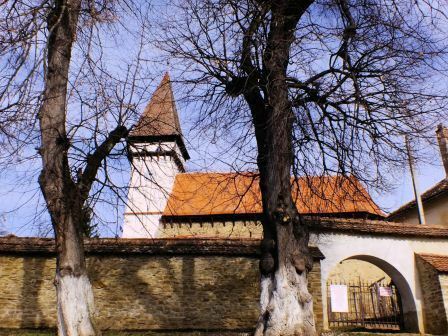 The fortified church is home to paintings, sculptures and Late Gothic style furniture. Biertan lies 26km south-east of Medias and 30 km southwest of Sighisoara, in Sibiu county. 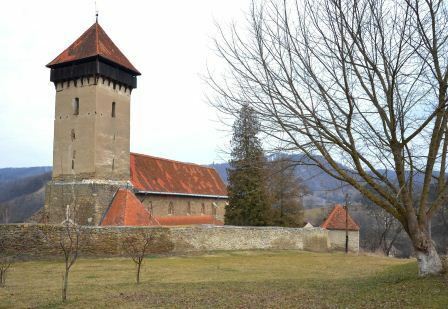 The fortified church in the village of Bunesti ( Bodendorf in German or Szaszbuda in Hungarian ), built at the beginning of the 14th century, replaced an older Romanic church. It holds both Romanic and Gothic structural elements. The church got fortified in the 16th century and was reinforced with circular defence walls and several bastions. The southern bastion became a school in the 19th century and later, the priest’s home. Mural paintings hide behind the stunning Classic style golden altar, built in wood. 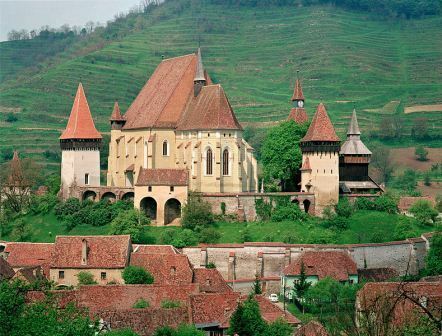 Bunesti lies 17 km north-west of Rupea and 38 km southeast from Sighisoara, in Brasov county. The fortified church in Cloasterf (Klosdorf in German or Miklóstelke in Hungarian) is a small hall church without a tower. It was built and fortified in the 16th century, thanks to a 4 tower belt which is still visible today. The steeple tower was constructed and added in the 19th century. 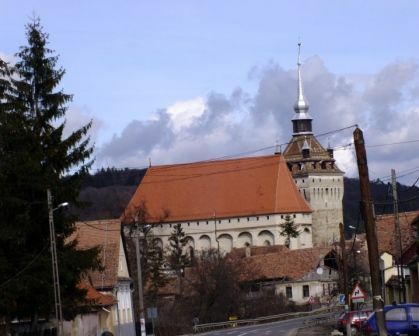 Cloasterf lies 27 km north-west of Rupea and 29 km south-east of Sighisoara, in Brasov county. Copsa Mare, the village famous for its extensive vine plantations in the past (Gross Kopisch in German or Nagykapus in Hungarian), is home to a Gothic style fortified church built in the 14th century. The fortification wall, built from pit stone, was added later, in the 15th and 16th century. Only the northern tower survived until today from the two built during the fortification. The altar was built in Late Gothic style originally but was replaced with a Classic style one in 1854, built by Samuel Maetz from Biertan. Copsa Mare lies 12 km south of Dumbraveni and 3 km east of the village of Biertan, in Sibiu county. 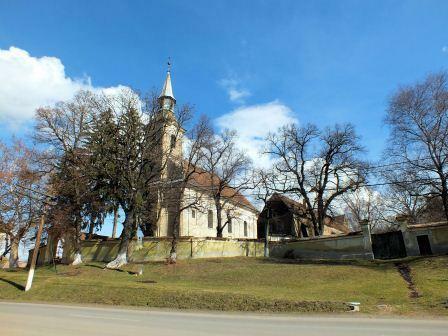 The ancient fortified church in the village of Crit (Deutschkreuz in German or Szászkeresztúr in Hungarian) was demolished in 1810 and the one still standing today took its place. The church was fortified in the 15th century, with a defence wall and 5 towers. The ‘gate of the dead’ was added in the 20th century, next to the western tower and was destined to allow access for the mortuary cart. Some pews of the ancient church are still preserved. 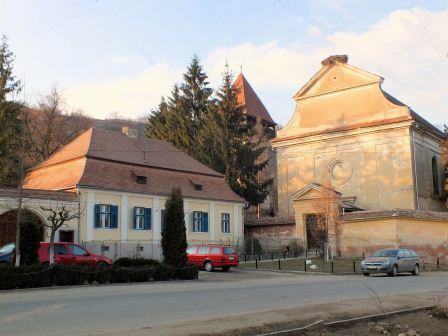 Crit lies 21 km north-west from Rupea and 34 km south-east of Sighisoara, in Brasov county. The village of Daia (Denndorf in German or Szászdálya in Hungarian) is home to the 15th century Virgin Mary church, built in Gothic style. Its defence wall was built around the same time. The steeple tower was built in Baroque style. The altar was gilded in 1799. Daia lies 25 km south-east of Sighisoara, in Mures county. The church in the village of Danes (Dunesdorf in German or Dános in Hungarian) was built in 1506, in Late Gothic style. It was fortified in the same period, with a defence wall. The small steeple tower was transformed into a gate tower. The new steeple tower visible today was added in the 20th century. The bells date back to the 18th century. The altar present today was added in 1910. Danes lies 9 km west of Sighisoara, in Mures county. 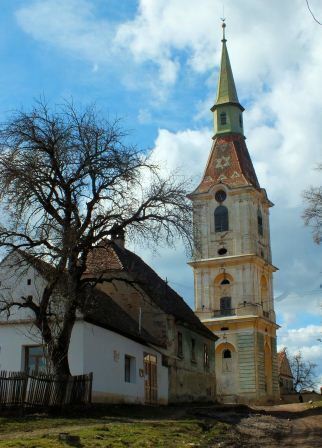 The fortified church in the village of Laslea (Gross Lasseln in German or Szászszentlászló in Hungarian) used to bear the name of Saint Ladislau and was built in the 15th century. It later got demolished in the 18th century and only its steeple tower and parts of the lateral naves were preserved from it. A new tower was built to replace the old one but it collapsed in the 19th century. Laslea lies 28km east of Medias and 11km west from Sighisoara, in Sibiu county. The Gothic style church in the village of Malancrav (Malmkrog in German or Almakerék in Hungarian) was built in the late 14th century. It was the court curch for the noble Apafy family, which ruled the village until the end of the 17th century. The church was fortified during the 15th century. 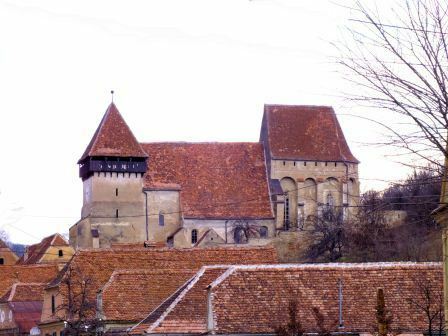 The fortified church is most famous for its 14th century inner wall frescoes which are the most extensive ensemble of this kind in Tranylvania. The church also represented a center for pilgrims in the past. The Early Gothic style church in the village of Mesendorf (Meschendorf in German or Mese in Hungarian) was built in the 14th century. It was fortified at the end of the 15th century with a defence wall and towers with pyramid roofs. As it was on the brink of collapse, the south-western tower was demolished in 1958. The organ seen today replaced an older one in 1765. 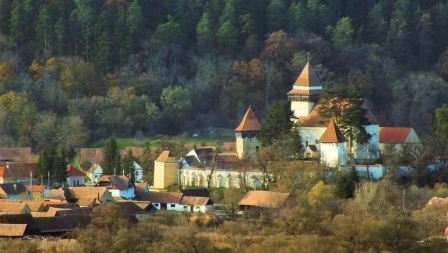 Mesendorf lies 26 km north-west of Rupea and 37 km south-east of Sighisoara, in Brasov county. 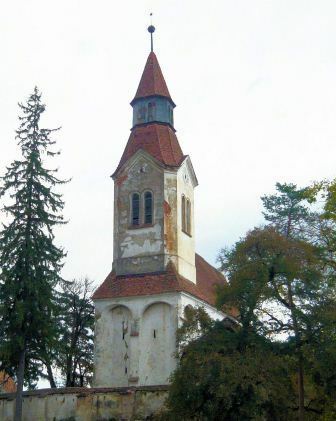 The Gothic style church in Richis (Reichesdorf in German or Riomfalva in Hungarian) was built in successive stages, starting from the 14th century. The basilica body is composed of 3 naves, separated by two massive pillars. The church was fortified in the 16th century and the gate tower is still visible today. Two gravestones and some mural paintings can be found in the vestry. Richis lies 20 km south-east of Medias and 23 km north-west of Agnita, in Sibiu county. 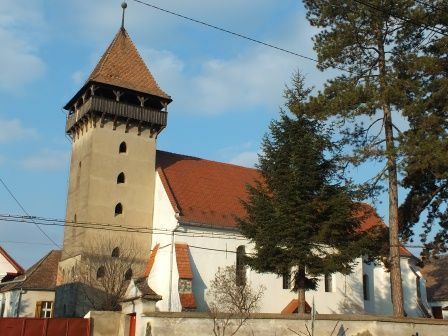 The fortified church in Roades (Radeln in German or Rádos in Hungarian) was built in the 15th century. It was fortified with a polygonal wall and 5 defence towers. The triptych altar dates back to the 16th century and it is one of the best preserved altars from the pre-protestant period in Transylvania. It is currently being kept in Sibiu and it depicts scenes from the life of John the Baptist. The church is also home to a bell from 1550. Roades lies 17 km north-west from Rupea and 39 km south-east from Sighisoara, in Brasov county. The ancient church in Saes (Schaas in German or Segesd in Hungarian) was built in the 13th century and demolished in 1818. A new church was built in the 19th century. A defensive ring from the old fortification is still visible today. The altar and the organ were built in the 16th century. The 48m high tower houses 3 medieval bells. 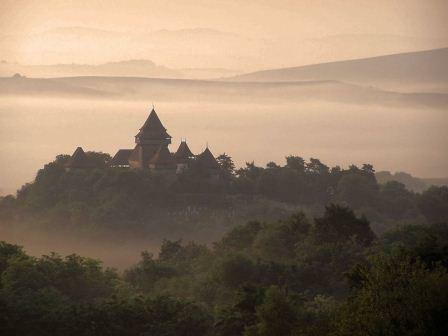 Saes is located 9 km south of Sighisoara and 32 km south-east of Agnita, in Mures county. 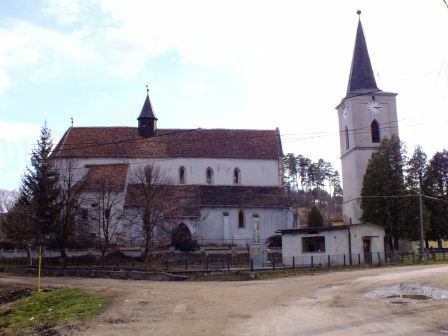 The church in the village of Sarosu pe Tarnave (Scharosch in German or Szászsáros in Hungarian) was built in mid 14th century and was named after Saint Helen. It was fortified between the 15th and 16th century. The precinct wall reaches up to 10m in height in a few places and it is reinforced with 2 towers and 3 bastions, still visible today. An inscription found in the vestry alleges that the church was sanctified through a papal convention from Rome. Sarosu pe Tarnave lies 17 km north-east of Medias 19 km west of Sighisoara, in Sibiu county. The UNESCO World Heritage site in the village of Saschiz (Keisd in German or Szászkézd in Hungarian) is a Gothic style small-hall church with one nave and was built in the 15th century. It was fortified in the 15th century, with a 9m tall surrounding wall. The church tower resembles the Clock Tower from the citadel in Sighisoara, adorned with 12 skylights and colourful enamel tiles on the roof. 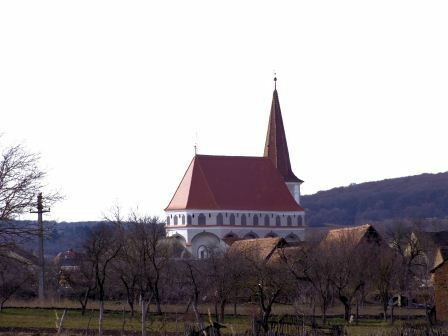 The Late Gothic style church in Valchid (Waldhütten in German or Váldhíd in Hungarian) was built in the 14th century. It was named after Saint Andreas by papal decreed. The church was fortified in the 16th century. One of the defence towers was destroyed by an earthquake in 1916 and they were never rebuilt. The vault also broke down during this time and it was later replaced with a Baroque style one. The school on the northern side of the church was built in the 18th century. Valchid lies 19 km south-west of Sighisoara and 28 km east of Medias, in Sibiu county. The UNESCO World Heritage Site in the village of Viscri (Deutchweisskirch in German or Szászfehéregyháza in Hungarian) is one of the most picturesque fortified churches in Transylvania. Built in the 12th century, replacing an ancient Romanic church constructed by the Szeklers, it was fortified in the 15th century. The 3m thick church tower is the oldest of all its towers and it was fortified in several stages. In the 16th century, the church was added two bastions and two towers as well as a second precinct wall, later in the 18th century. Viscri lies 16 km north-west of Rupea, in Brasov county.